Filmed by Chauncey Jenkins, Angel Ramirez, and Mike Oliver. Edited by Mike oliver. What was supposed to be a skatepark competition turned into an all day street comp reminiscent of the old days of New York City. Competitors traveled from place to place, stopping walking traffic at each location, to compete for 10 lucky spots to gain entry into this year’s NYC Invitational. Check out the iphone photo highlights from Saturday’s qualifier below. All photos by Sam DeAngelis. We’re back with a new Clip Of The Week. After yesterday’s qualifier for the NYC Invitational we stayed at the last spot to catch a clip with Angelo Morales. Make sure to like the video and subscribe to our channel to see all of our videos first. 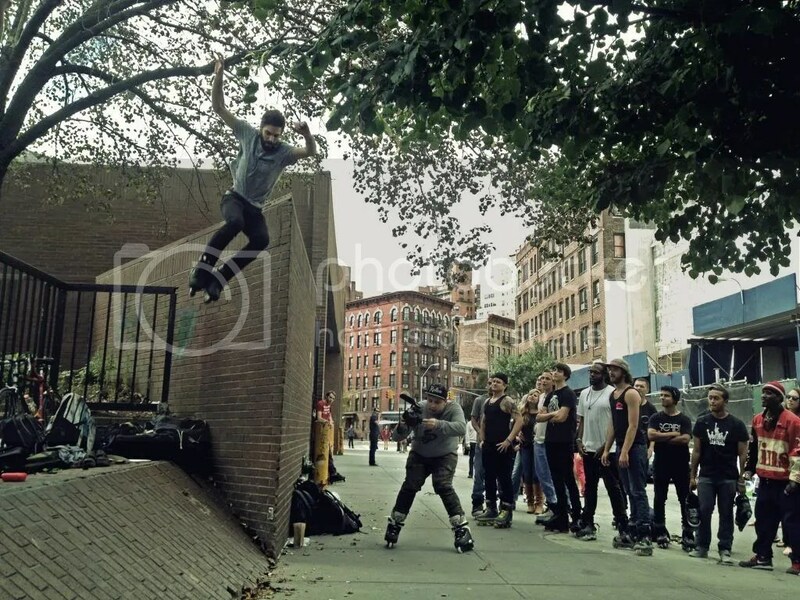 On September 15th, 2012, Rollerbladers from all over New York City and New Jersey came together to show their support for Brian Scott Jr. A local rollerblader whose life was taken too soon on October 12, 2009. This is a small montage dedicated to Brian, with over forty rollerbladers honoring and skating in his memory. Today is the anniversary of his passing, but we feature this montage today from his memorial session, in honor of his life. Thank you to everyone who came out to celebrate Brian and participated in the montage. This one’s for you Cozmik. “Here is my boy for life. Alex Nunez’s First Section Ever to be released to the world. Peep his young steez take over Rest in Peace Alex. We Love you bro” – Thomas Lipani. Filmed & Edited by Billy Schon, Thomas LiPani & JP Primiano.